Architectural Kahnceptions, PLLC is a Long Island, Suffolk County, based architectural firm in Smithtown, NY. We will help clients navigate the necessary steps from start to finish on their projects. From programming & planning, to construction documents, on-site observation & construction managing. Our firm can handle projects of all sizes, residential and commercial, with 3D rendering (not offered by many architectural firms). R. Wade Johnson Design is an architecture and interior design firm focused on providing personalized creative design services for select projects. Our passion is creating and developing beautiful interior and exterior environments that enhance our client’s lives and neighborhoods. Our office seamlessly integrates the gaps between construction, planning, architecture, sustainable initiatives, technology, interior design, lighting, furniture design and landscape design. Collaboration with our established team of key contractors, vendors, consultants and other professionals maximizes our ability to deliver a creative, enjoyable and effective process as well as world class results. During the pre-design and planning phases of a project we start by exploring the client’s taste and style. An in-depth discovery process of our clients’ needs, dreams and goals is also conducted to assure the successful expression of their desires. Ultimately, the key to achieving this intense level of personalization is derived from our ability to effectively listen to our client’s needs and desires and to interpret them visually in built form. We believe that design is a “team sport”, and that every player on the team has something valuable to offer. Occasionally while assisting with internal negotiations, we have found ourselves providing effective marriage counseling services as well. 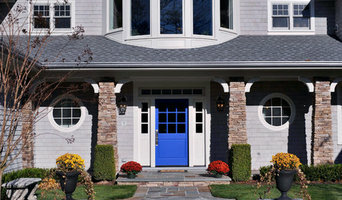 We specialize in elegant residential design in Rhode Island . Since 1983, we have collaborated with our clients to design new homes or additions for them, so that they are attractive and respond to their lifestyles and taste. Our home designs respond to the rich tradition of historic homes on Narragansett Bay . Our modern vernacular designs and historic renovations echo the best of these traditions and add clean, simple design and green approaches to construction. Rooms are scaled to their function; we design well proportioned spaces open to the view and intimately scaled rooms rich with architectural details. Our designs honor the landscape and enhance the ambiance of the environs. It is our goal that working with us is pleasant and uncomplicated, and you finish with a home that is as beautiful as you had imagined and a joy in which to live. 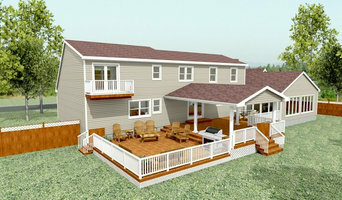 The House Designers provide consumers and builders with the most popular, innovative collection of ready-made house plans, home plans and floor plans direct from the leading designers and architects in America, including an exclusive collection of ENERGY STAR/Green house plans. Michael graduated in 1969 with a degree in Architectural Design. Since then he has worked for several Architectural Designers and has been operating on his own since 1994. Bring in your idea of what you liked, be it on a napkin or a photo, and he will be able to execute your idea at reasonable rates. 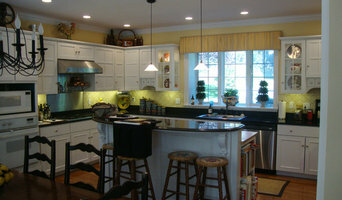 His style is traditional with a modern fling to it, but ultimately works to meet his clients needs. His experience has made him an expert in understanding how to deliver the results his clients are looking for effectively and at a reasonable price. He has worked extensively on Landscape and Road Design, Commercial buildings, churches, houses, and assisted living homes. Additionally, he has worked all over the United States, including: Alaska, Idaho, Wyoming, Nevada, Utah, Vermont, Maine, New Hampshire, Pennsylvania, Florida, Massachusetts, Delaware, Virginia. Nelson Edwards Company Architects, LLC is a full service architecture and interior design firm providing comprehensive planning, design, documentation and construction phase services for new construction or carefully considered restorations. Our firm was founded on and remains committed to the small studio environment. Firm principals work directly on all projects aided by an exceptionally talented team of architects, designers and support staff. We encourage our clients to participate with us in the design process as we believe in the power of partnerships. We collaborate with specialized consultants such as landscape architects, structural and mechanical / electrical engineers, and interior designers who share our commitment to service and to our clients. We are an experienced residential architecture firm specializing in custom renovation and new construction. We also provide light interior design services. Luxury residential architecture and interior design firm specializing in modern homes in the Hamptons and beyond. Full-service, client-first collaborative design approach. At OS, we think of home as more than an aesthetic construct that shelters its residents - more than the dreams of a family, or the art and science of the architect. At OS, home is an ambient environment that infuses our existence with the essential elements for recharging, balancing, and devotion. We design homes for coming and going, gathering and entertaining, waking and sleeping, work and play. We collaborate with our clients to create homes that enhance their practical lifestyles and fulfill their wildest dreams. We believe that the simple act of walking through a well designed home, as it responds to the passing day and perennial seasons, should be a worthy experience. Our commitment to sustainability reflects our reverence for the east end’s incomparable natural beauty. Full Interior Design Firm with a flexible design philosophy concentrating on working with the client's tastes and ideas. Elsa Soyars always says "there is a sensible design look that I implement in every project." Elsa Soyars interiors are the epitome of classic elegance. She mixes the most luxurious fabrics and textures, inspired by her European heritage, to achieve rich layered interiors. Her furniture selection is always crisp, tailored, comfortable with an eye for detail and functionality. She has been creating elegant, calm, tranquil interiors for her clients to live in and enjoy for years to come. Established in 1998, Martin Architects provides licensed architectural and engineering services, interior design, and construction administration. The team offers the skills and experience of a large firm, while providing the personal service, motivation, and responsiveness associated with a boutique practice. Working on a broad range of historic to modernist projects, MA has specialized in high-end residential design. Projects have been undertaken throughout New York State-including the Hamptons and New York City-as well as Connecticut, New Jersey and Costa Rica. The practice has long-standing working relationships with a wide range of skilled consultants on Long Island, and a record of delivering quality design and construction on time and within budget. Martin Architects does not limit designs to any single project type, preferring rather to tailor proposals to the unique requirements of individual clients and their project conditions.